My gardening companions, although I would question the amount they actually contribute to the garden, especially when they take to digging in places where I really don’t need the extra help! 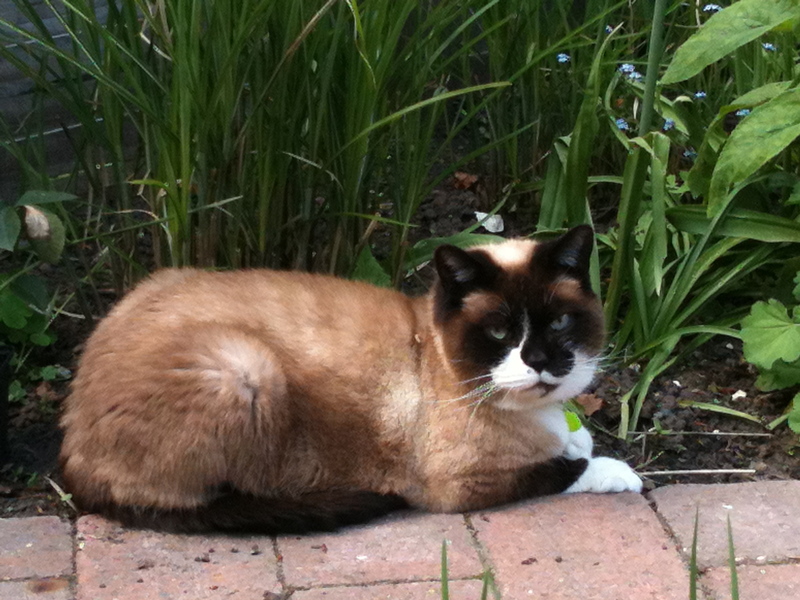 But even if they are fast asleep in the house I can usually guarantee that within five minutes of my being in the garden my girl cat, the chocolate colour point, will always join me. Her brother might take a little longer, but this time of year especially, when the catmint (Nepeta) is growing well, and the sun is shining (well I can dream!) 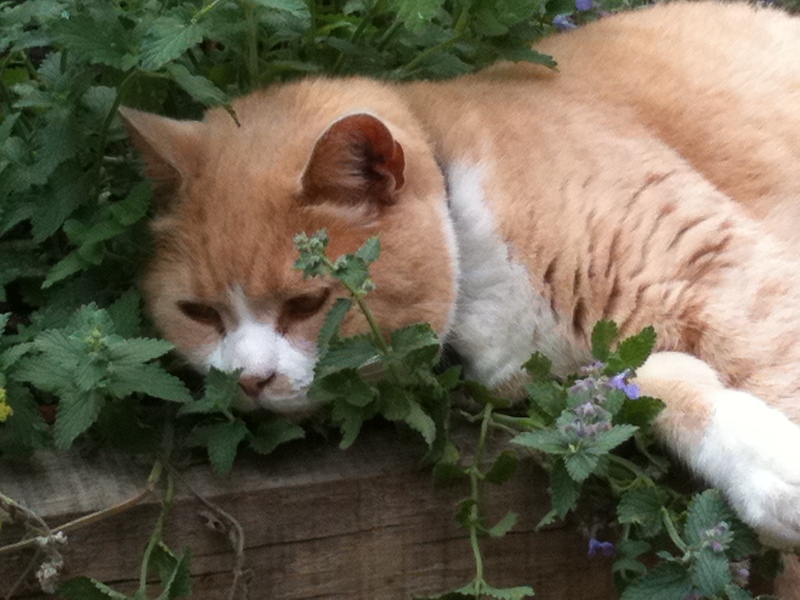 will bring him out to patrol his domain, roll in the catmint and generally lord it as King Cat in the neighbourhood. This entry was posted in In my garden and tagged British Shorthair cats, cats. Bookmark the permalink.